Former President Pranab Mukherjee on Thursday said that almost all the Prime Ministers have had their contribution in promoting science and technology in the country. He particularly highlighted the roles of Jawaharlal Nehru, Indira Gandhi, Rajiv Gandhi and Manmohan Singh in particular in advancing penetration of technology in the common people’s lives. “From the very beginning of our nation building, our leaders have emphasized on the role of science and technology,” Mukherjee said at a book release event at Nehru Memorial Museum and Library (NMML) here. “Pandit Jawaharlal Nehru throughout his life, not only just as the Prime Minister, but his whole life, emphasized on creating scientific temperament among the common people,” Mukherjee said while releasing the book “A Contribution in Time – India’s Electronics Revolution” by former Union Minister M.M. Pallam Raju and his brother Anand Mallipudi on the life of their father and Indias first Electronics Minister, M.S. Sanjeevi Rao. “It is fortunate for us that all the Prime Ministers of the country, Pandit Nehru in particular, Indiraji, Rajivji, Dr Manmohan Singh and many others have contributed in the development of science and technology,” he added. He said that the earliest leaders’ emphasis on higher quality education in science has led to the establishment of IITs, NITs and scores of IISCs. Mukherjee recalled how Nehru established the Atomic Energy Commission and it helped India become a nuclear power today. He said that when Rajiv Gandhi talked of easy communication through latest technology, many people did not believe him. However, the success India subsequently achieved in mobile phone density is “simply mind boggling”. 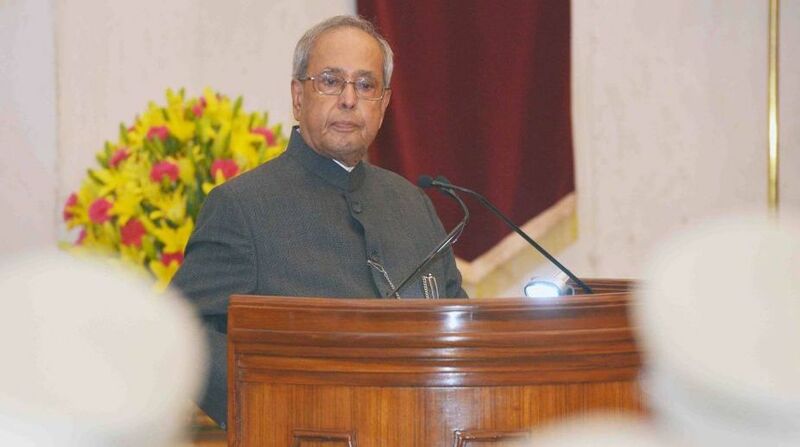 Mukherjee said that for development in a vast country like India, application of science and technology is required.